"People travel from afar to the small isle in the Aegean Sea hoping for a single glimpse of Princess Psyche. Their adoration for the mortal woman is so all-consuming that citizens begin to shower her with the very gifts and offerings they once left at the alter of Venus, goddess of love and beauty. This sounds so fantastic! Wendy Higgins does romance right! 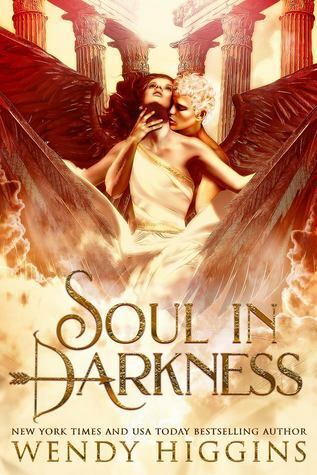 Soul In Darkness will be released on February 12, 2019. GREAT pick!!! I cannot wait to read this one either! Love Greek mythology type tales! And Psyche and Cupid is like the early version of Beauty and the Beast, so double YAY!! Hope you enjoy it too once you get to read it!